Whilst in London I went to view the Royal Adademy’s Summer show. This was truly inspiring, there were over a thousand works within the show. I’ve chosen a handful to do further research into. 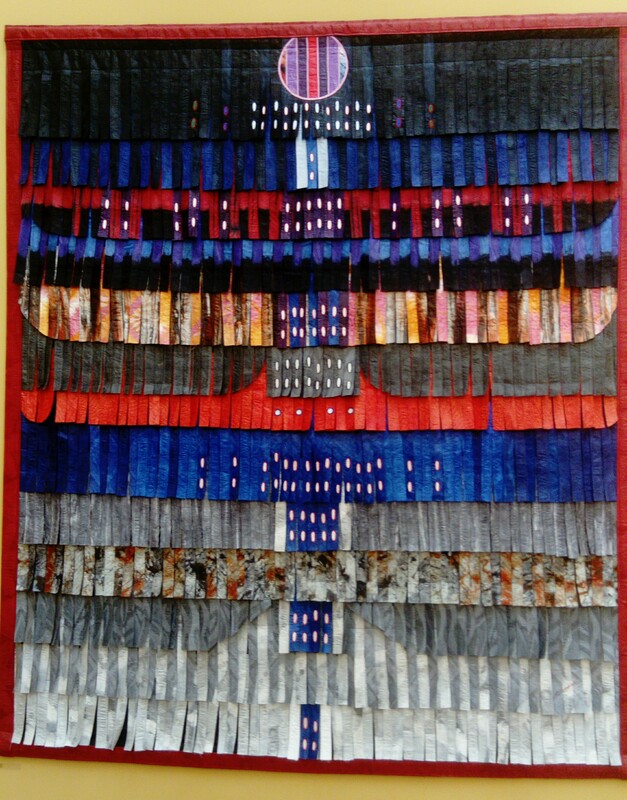 Konaté uses a textile based medium to explore both political and environmental issues. He questions the way in which individuals and societies have been affected by impacts such as war, power, religion and globalisation. This piece was made using materials. These fabric pieces have been died, creating a crumpled effect either by combining two or three different colours or different shades of the same colour. These have been made into strips, sewn and placed in a particular pattern on the board. This was very beautiful, and I am amazed by the time and effort placed into making this. This piece was oil paint and wax on canvas. 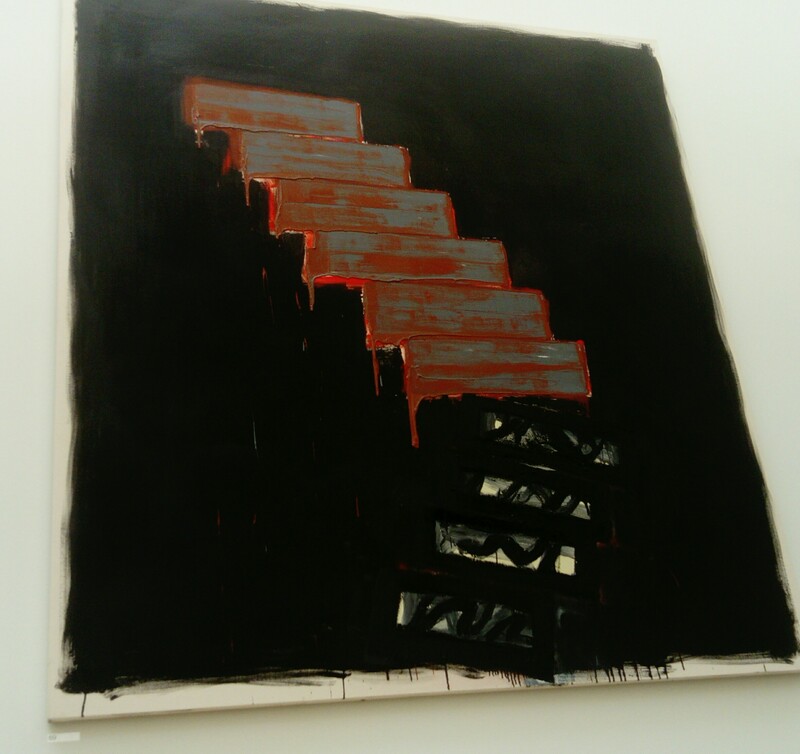 This painting depicts a staircase, he often uses architectural motifs to link with the psychological and physical issues of his work. The pallet is dark making these red and gray stairs stand out for the viewer. This piece could affect and upset the audience as you can see the physical strain on the staircase, how it has collapsed. This then could be reflected with everyday life, how someone could struggle mentally or physically with something around them. 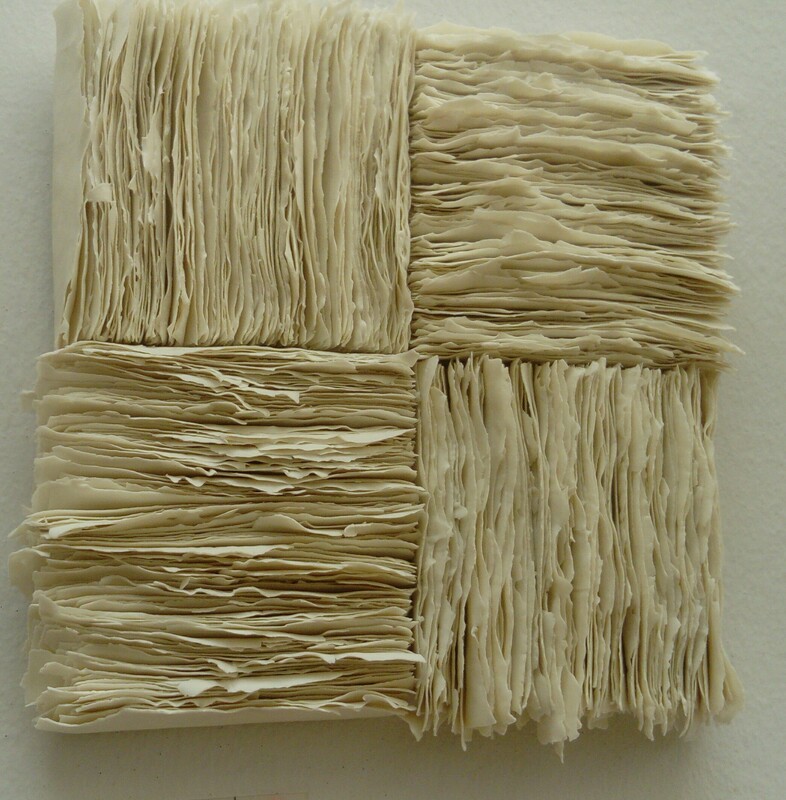 This piece was beautifully executed in its use of material. This has been created using porcelain. By layering the ripped edges, it has created a thick texture. Porcelain is a typically fragile material however this thick texture conveys strong and stable causing a large juxtaposition between fragility and security.